Court panel found violations in the procedure for the adoption of the Ordinance amending and supplementing Ordinance № H-18 of 13.12.2006 - SG. 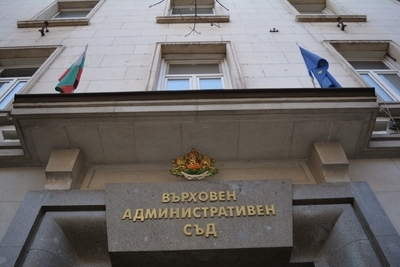 49 of 29.06.2010, the Supreme judges reported that in drafting the Act Ministry of Finance held legally required consultation with the Bulgarian Metrology Institute and the State Agency for Metrology and Technical Surveillance. Consultations were held with the Bulgarian Association of Software Companies - BASCOM, Bulgarian Chamber of Commerce and the System for Electronic Payments Bulgaria AD. With a concerted and discussion of the draft amendment to Ordinance № H-18 from 13.12.2006 for registration and reporting of sales outlets by fiscal devices fails the commitment of the issuer of the instrument to fulfill the obligations laid down in Art. 26, para. 2 and Art. 28, para. 2 LNA, as it is a different type and nature components in the procedure for adoption of the normative act. Publications in two national newspapers and interview the director of the NRA to the news agency provides general information about the planned changes in regulations submitted by the respective journalistic interpretation, but they are not relevant to the establishment of the due execution of the procedural rules for publication on the website Publisher of the act of the full project, together with the reasoning report accordingly to it. It finds that MF did not provide sufficient evidence that the site has been published anything other than the title of the amendment and some keywords, which is a violation of Art. 26, para. 2 LNA. Reasons prepared by the Executive Director of NRA imported MoF not contain required elements referred to in Art. 28, para. 2 pt. 3, 4 and 5 LNA, since they no data about funds needed for implementation of the new regulations, expected results from the application, lacks the necessary analysis of the conformity of the new rules with EU law. Violated provisions constitute an expression of the minimum legal guarantee of compliance with the principles of openness, accessibility, equality, openness and consistency. Therefore violations committed by the issuer of the relevant act are essential because the procedure for adopting the normative act is a set of mandatory elements, which is governed by LSI imperative to protect the public interest.